Carole Murphy is a heart-centered visionary and entrepreneur who is driven by the belief that business can be more profitable if done in a way that sustains our planet and each other. Prior to founding Purse for the People, she built and grew a successful dental practice for 12 years, finally selling it in 2014. 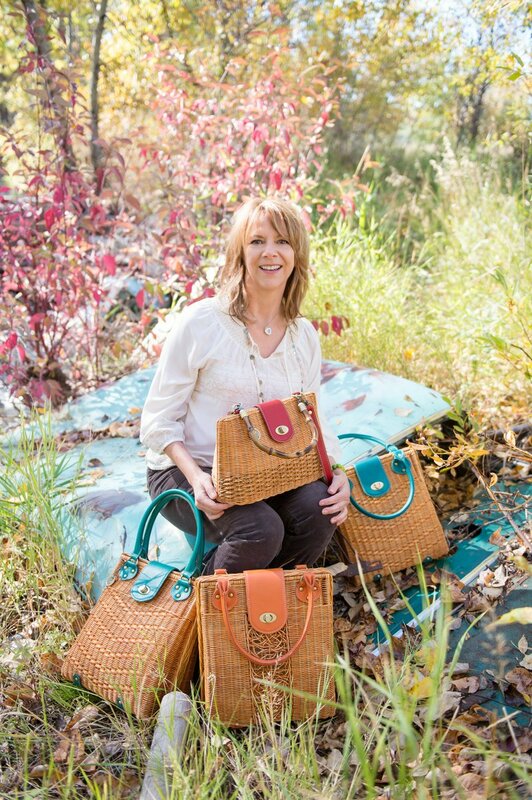 As founder of Purse for the People, she is implementing her vision to elevate business practices, for example, that all participants benefit and a healthy planet is left for generations to come. Growing up in Butte, Montana, which is a super-fund clean up site due to centuries of mining, she developed a strong sense of the responsibility of business to implement practices that consider the environment and the legacy they are leaving for communities, long term. In addition to starting her dental practice, she has been involved with various entrepreneurial activities as ranching and horse breeding. Prior to attaining her doctorate at the University of Maryland Dental School, she was a 7th grade science teacher in Potomac, Maryland and tutored subjects of Science and Math. She has worked on Capitol Hill as an assistant to Congressman Norman Mineta and published articles in scientific journals while in residency at University Medical Center in Fresno, CA. Travel Style: Just took this quiz on PlayBuzz and my answer was FUN! I’m all about adventure; however I do love a good spa half-day that includes a pedi and massage! Favorite Destination: Anyplace in Asia, including, of course, Indonesia where I go frequently for business: great food, people and beaches. On the northwest side of Bali you will find the best snorkeling EVER in the area around Menjangan Island. I love when travel leads me to a new experience that challenges what “I thought I knew.” I love finding out that my opinions and ideas were limited, skewed or just plain wrong. This experience of expanded awareness is a real high for me. One of your guilty pleasures? Food, Food and Food. I try as many new delights as I can. What does luxury mean to you? Waking up everyday knowing that I can create and experience something beautiful to share with the world. Feeling totally taken care of by the universe, oh, and a really comfy bed with a thick down comforter. Your favorite luxury item: Designer handbags. Your favorite travel story: Oh, my gosh, there are sooo many. One of the best was when my business associate from Jakarta took me on an excursion to Borneo. He had already booked a room for himself and at the last minute asked me to go along. When we arrived there weren’t any other hotel rooms available. A local family took me home with them and put me up in the only air-conditioned room in their house. They all three slept in the same bed so I could have my own room, and they were very gracious and sweet to me. Nina, my host, arranged for me to visit local entrepreneurs working in the rattan industry in surrounding communities. I was able to share my story with them and saw their products made from harvesting the rattan in the forest to full production. We stopped at roadside markets, including a fantastic pineapple stand and ate fresh pineapple from the growers field; it was the best I’ve ever tasted. Just heavenly! Your best travel tip: If you are an adventure traveler, a night or two before you return home book a nice 5-star hotel on the beach or with a nice pool. Give yourself time to digest what you’ve experienced and relish the moment. To learn more go to http://purseforthepeople.com.